Wallabout is either a dressed-up name for the gritty area abutting the Brooklyn Navy Yard and sliced by the BQE. 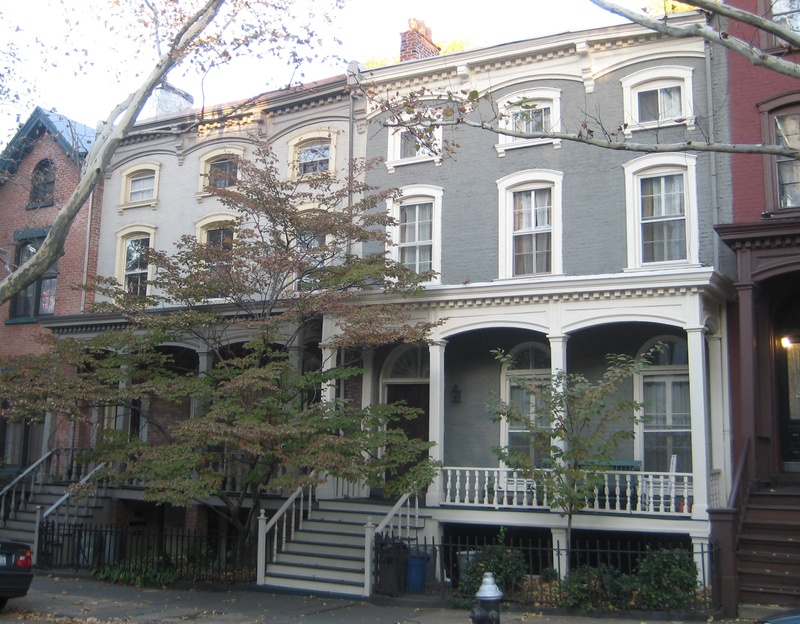 Or it’s a true neighborhood with a vibe distinct from Fort Greene and Clinton Hill to the south. Whatever your take, Wallabout is a stronghold of Brooklyn history that’s worth a look. The name comes from the Dutch word Waal-bogt, which means a bend in the river. This bend is Wallabout Bay. 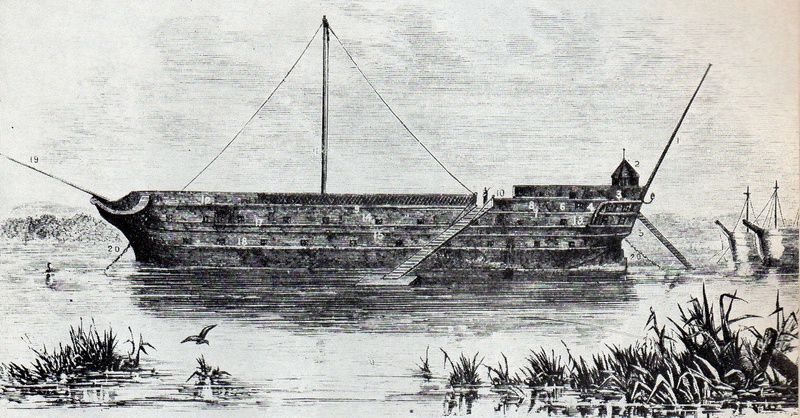 Here, the British docked 12 prison ships holding captured Revolutionary War soldiers. More than 11,000 men died on ships like the one in the engraving above. Some of their remains are entombed in the haunting Prison Ship Martyrs Monument in nearby Fort Greene Park. Wallabout grew into a residential district in the mid-19th century, housing workers who toiled along Brooklyn’s thriving waterfront. These workers lived in wood frame houses, some of which still stand. These 2- and 3-story houses, with lovely porches, are modest and charming—especially compared to the mansions up the hill closer to the Pratt campus. In fact, historic Wallabout, which the Historic District Council defines as eight blocks roughly between Myrtle and Park Avenues, has the largest concentration of pre-Civil War wood frame homes in the city. Wallabout has literary cred as well. 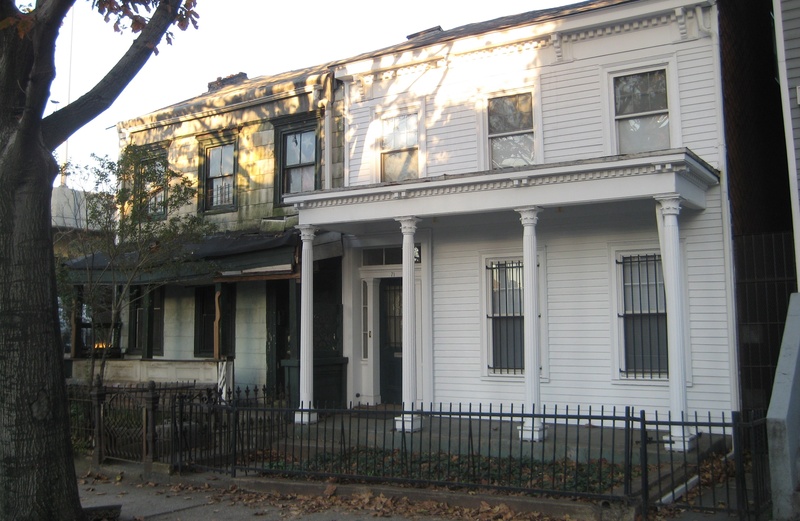 Walt Whitman is believed to have lived in the nabe; his former home is supposedly 99 Ryerson Street (not pictured, since it’s covered in cheap siding). This entry was posted on November 10, 2009 at 6:42 am and is filed under Brooklyn, Disasters and crimes, Poets and writers. You can follow any responses to this entry through the RSS 2.0 feed. You can leave a response, or trackback from your own site. Surely you mean Fort Greene and Clinton Hill to the south, yes? Makes you wonder just how many city dwellers are un-aware of where they are living and who was there before them.